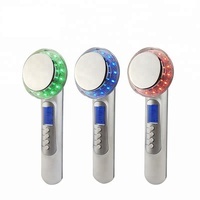 It has Ultrasonic, Galvanic (positive and negative), 3 LED lights. 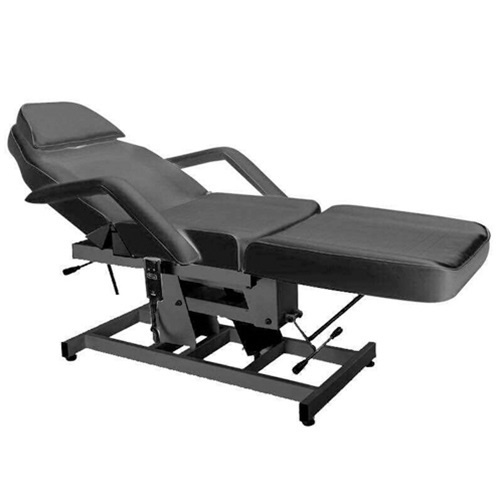 Ultrasonic function: can change the capacity and movement of every cell with the massage function. It can stimulate and adjust the cytomembrane, increase the permeability of epidermis, its thermal, physical and chemical effects can rise the temperature deep in the skin by 0.5-1°C, promoting the skins ability to absorb essences accelerate metabolism and reinforce the regenerative course of tissue. Ultrasonic can also breakdown waste surrounding fat, repair lymph and capillary vessels with weight losing and figure sculpting functions. 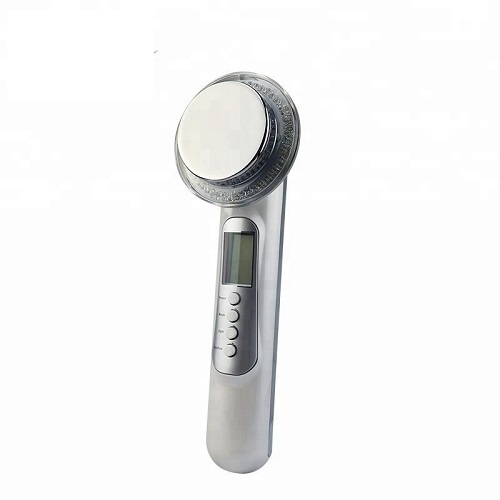 Galvanic function: deeply cleanses the skin of impurities that can cause a dull and lifeless appearance. This process happens when negatively charged IONS attract and encapsulate toxins, preparing them to be removed. 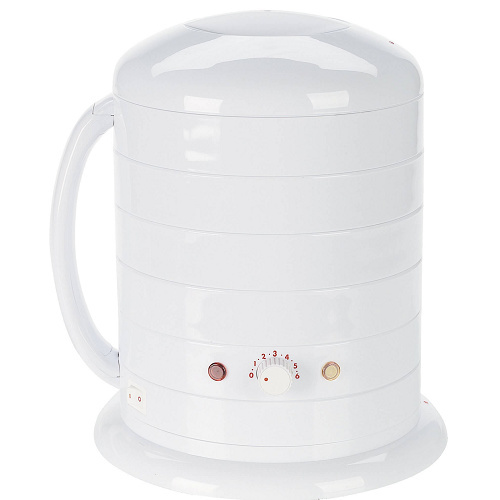 Following up on this, the positive IONS work to attract the encapsulated impurities from within the skin. Not only does this treatment leave the skin thoroughly clean, but also improves oxygenation and circulation, which promotes cellular health and helps to stave off free-radical damage and premature ageing. The galvanic IONS +/-: work to increase circulation, which improves the overall health of the skin, by providing nutrition to the surface of the skin. Better penetration of products, into the deep layer of the skin. It overtime leaves your skin taught and firm, whilst brightening and cleaning your skin. Use the POSITIVE ion for skin deep cleansing and the NEGATIVE ion for nutrient importing. Red Light: (Wavelength 625+/-3nm) Brightens and evens the skin tone. Encourages collogen to increase rapidly which diminishes the appearance of fine lines and wrinkles. Tightens, firms and repairs damaged skin. An excellent repairing and anti-ageing treatment. 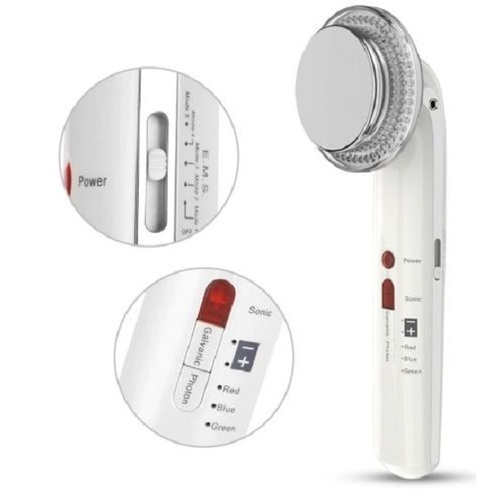 The red light is suitable for any type of skin; it can reach derma to stimulate fibre cells. Blue Light:(Wavelength465+/-3nm) Kills bacterium from within the skin whilst diminishing inflammation and preventing acne and breakouts. 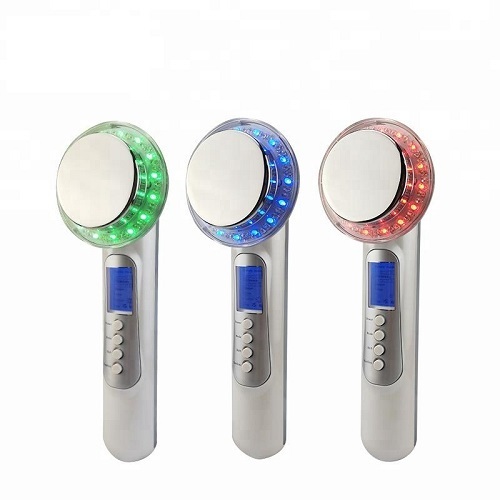 The blue light has the function of calming and against skin rashes; suitable for the skin which is sensitive, oily and with skin rashes. 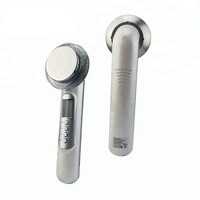 It can adjust skin sebum secretion, effectively getting rid of acne. Green Light: (Wavelength 525+/-3nm ) Calms and balances the skin tone, this can help to break down and prevent uneven melanin (pigment) production. An excellent treatment that leaves the skin even and bright, whilst calming the skin and stimulating the lymphatic drainage system. It has the effects of neutralization, balancing and calming.